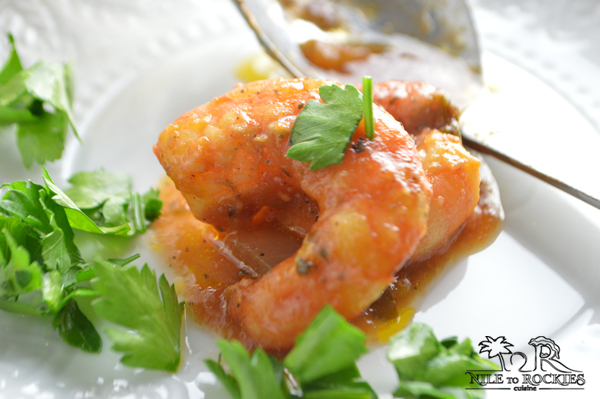 This is a super delicious and easy shrimp recipe that is ready in less than 30 minutes. 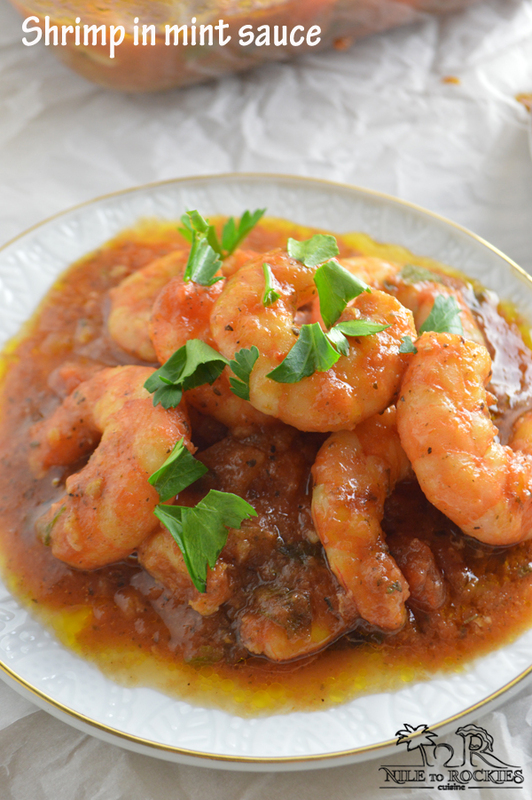 We love the combination of rich shrimp, olive oil and minty tomato sauce. 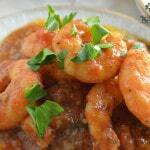 This is one of my mom’s greatest hit, shrimps swimming in tomato sauce that bursts with flavors. Serve it over pasta or white rice and I guarantee you’ll make everyone happy. 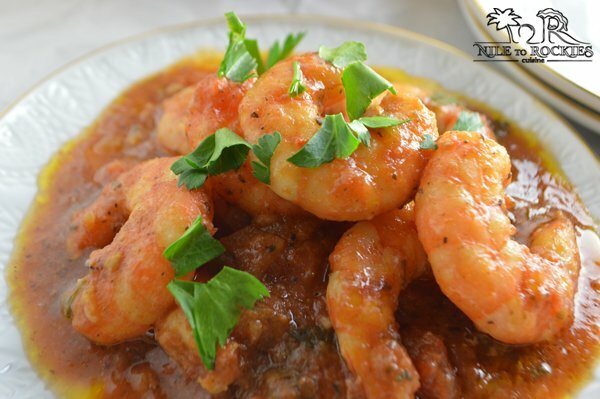 Today I’m bringing you this recipe that has been in the family for as long as I remember, so it has lots of good memories of family gathering, chatting, laughing and sneaking shrimps from behind mom’s back, as shrimps are -and always have been- super expensive in Egypt. My boys do not like fried shrimps, and do not ask when did then happen ¯\_(ツ)_/¯, I mean who does not !! they have a strange taste, I know. When they had this shrimp at my mom’s once, they fell for it, and I was very happy, so when I make this recipe they keep picking up shrimps leaving the veggies behind . Let me tell you, they are missing A LOT, and I do really mean a lot, these veggies swimming in a poodle of minty tomato sauce are destined to be enjoyed over a bed of white rice. This is a match made in heaven my friends. Aside from cutting the veggies, this recipe takes less than 20 minutes start to finish, if we add time for cutting the veggies, then this recipe will probably be ready in like 30- 35 minutes. 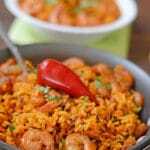 Serve with white rice or pasta, but personally I like white rice more for this recipe. Your taste buds and your waist like will thank you for this recipe, and of course your beloved family. Here is a short video showing you how to prepare this easy shrimp dish. Enjoy! 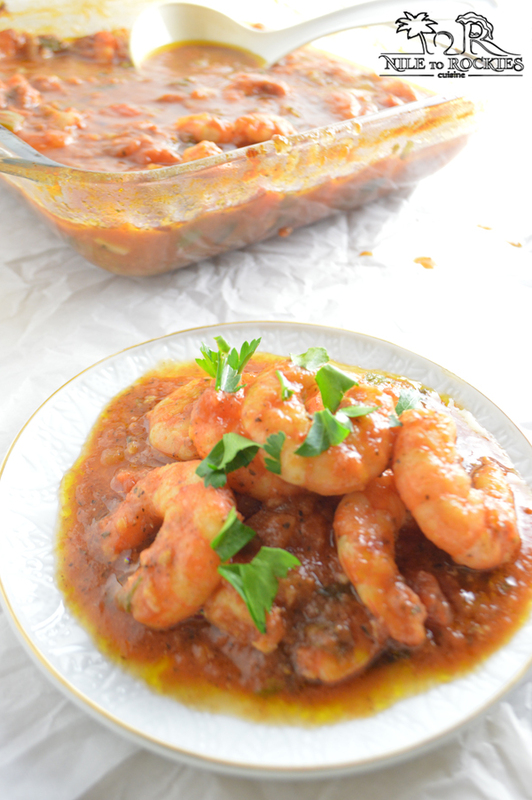 A quick, delicious and healthy shrimp recipe that pairs very well with white rice. 1/3 cup diced green bell pepper. Pre heat your oven to 425F. In an oven dish combine onions, tomato, garlic, parsley and bell pepper, then add the spices and the oil and mix. Add shrimps and tomato sauce and mix all the ingredients well. Bake in the oven for 10-12 minutes or until shrimps are done. 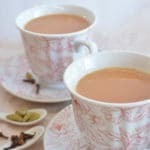 * Depends on your liking, if you are used to mint in savory dishes then up to 2 teaspoons, if not then start with a 1 teaspoon. This was a very tasty and new to me kind of recipe. I am not used to having shrimp with mint or saucy, but the sauce was great with white rice as well. Thank you for such a lovely recipe. Nancy, this is awesome! I am glad that it worked well for you. How delicious! 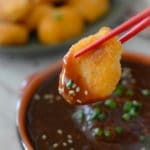 It is like the shrimp poach in your delicious sauce, now this may be my fun new way to make shrimps. Loads of flavor and yet very healthy. I can’t wait to try this recipe.